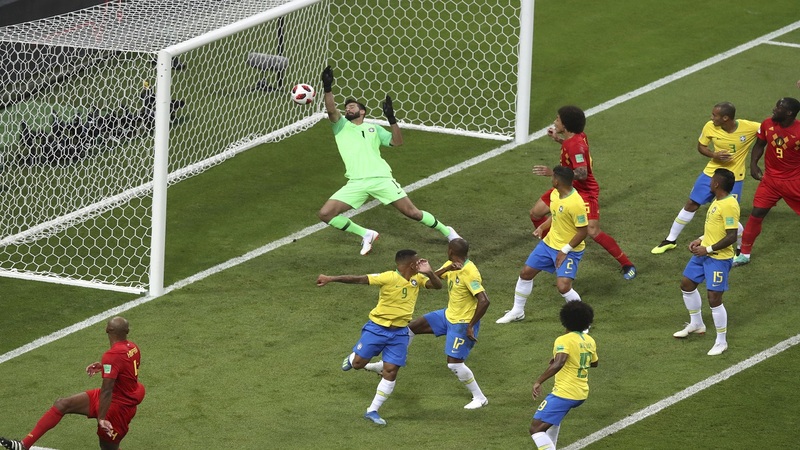 Brazil goalkeeper Alisson, center, fails to stop Belgium's first goal during the quarterfinal match at the 2018 football World Cup in the Kazan Arena, in Kazan, Russia, Friday, July 6, 2018. 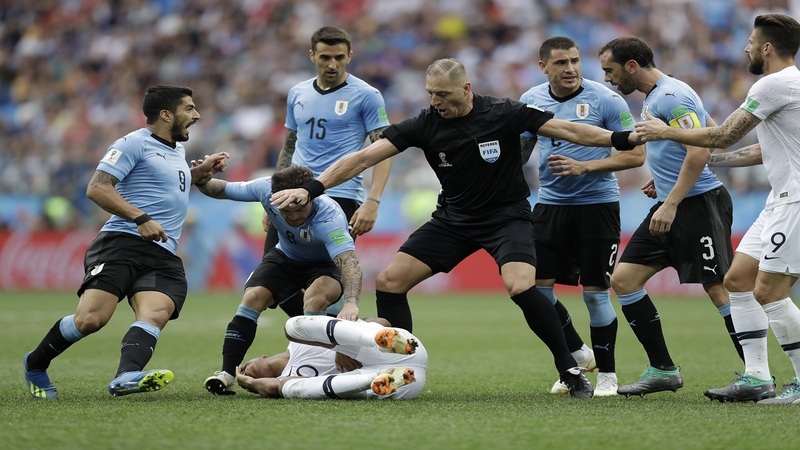 (AP Photo/Thanassis Stavrakis). 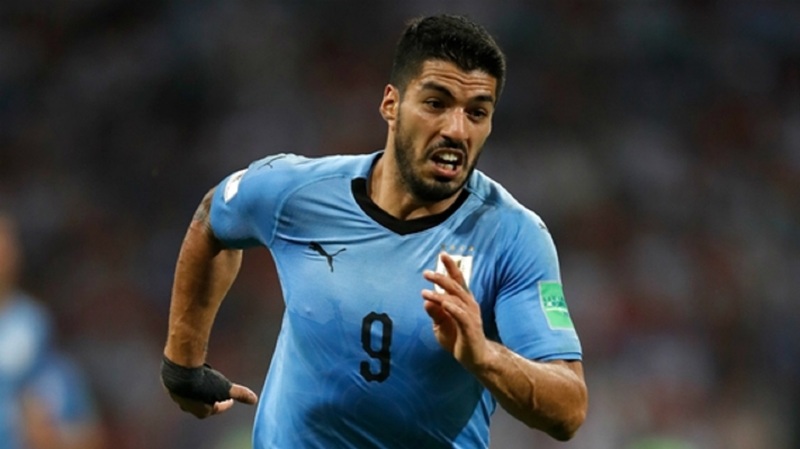 Belgium booked a World Cup semi-final against France as Brazil's hopes of winning a sixth title were ended by a 2-1 defeat in Kazan on Friday.